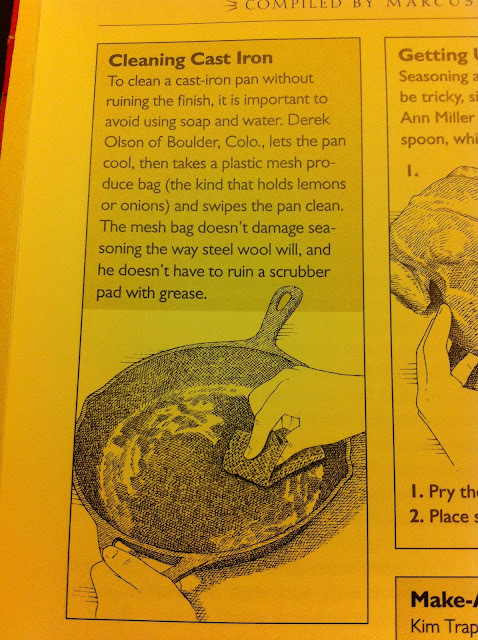 Many months ago, I sent a note to Cook's Illustrated magazine about using plastic mesh bags for cast iron cleaning. They published it in their "Quick Tips" section in the November / December issue. 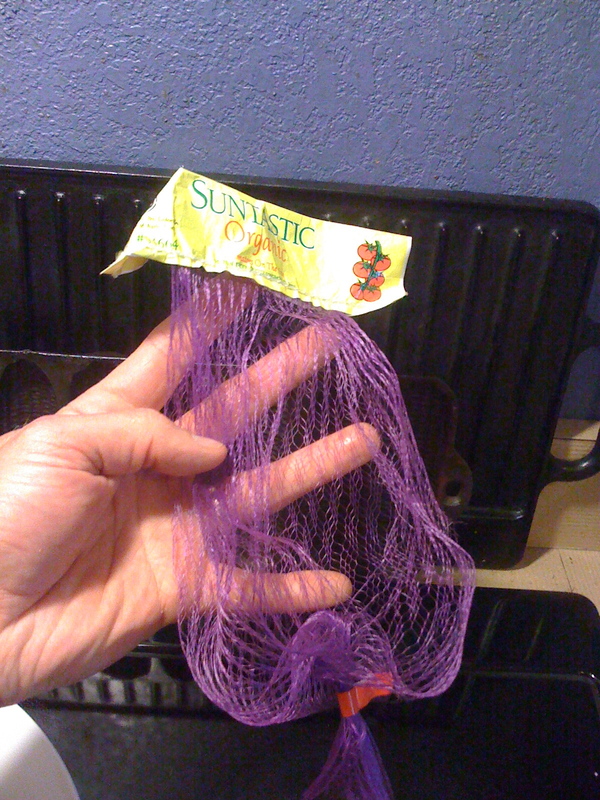 Using these plastic bags (that would otherwise be thrown away) is a great way to remove heavy grease or other crud that you don't want sullying your normal cast iron scrubber pad. 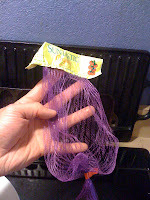 You can throw away the plastic mesh bag after use, or even use it again if it isn't too soiled. This is a great idea. I took it one step more, placed a dishcloth in the mesh. Having it crumpled in the mesh gave me more to hold. This also gives the mesh a little more life. Great website! Thanks for the additional tip. I like it! Also checked out your blog... looks like we have a thing or two in common.... look forward to reading more. I tried it over the weekend. Works like a charm. Glad to hear it Carlos! How did I miss this one? Hot tip. You know I got your back, baby. In case you miss it the first time.. I'll be right here... saving the world... one used lime bag at a time. Derek, I recently found your blog and am so pleased to see the great advice and directions for working with cast iron. I have a cast iron pan that is looking scary - like the black coating is coming off. Is this normal? I use my pan regularly and have followed your tips for care and cleaning. I have had pans where the seasoning ends up getting too thick, and it does then flake off. My griddle has this problem on a somewhat regular basis. I typically just get in with a metal spatula and scrape as much of the flakey stuff off.. and then give it a good oven seasoning. Please let me know if you think there's more afoot, or have other questions. And let us know how it goes. Thanks! That also works.... although I find that if the cast iron is greasy enough, it's basically a single-use job. So using something that didn't cost extra and would normally be thrown away is particularly nice!